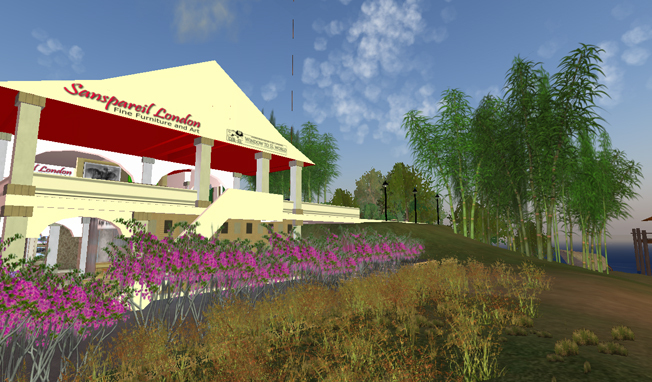 it’s fantastic to know that of the original team of architects, Derekcsy Cortes, Sanspareil London, and Lim Pikajuna are still active builders in Second Life. God has blessed us with a lasting friendship and brotherhood, for which we will always be grateful. visiting the Peranakan Shophouses through Canvas! i would like to take this opportunity to thank all those who have contributed to the design and construction, as well as to all who have chosen to call it home. the one-hundred-and-seventy-fifth episode of ventriloquy shares with you my personal interpretation of the theme 'the Future of Virtual Worlds', that has been chosen by Linden Lab to characterise the sixth anniversary celebrations of Second Life (SL6B) later this month. 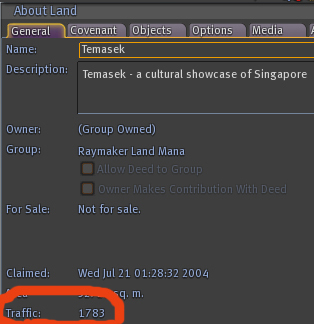 in this 1.8 MB download, i take the opportunity to foreground two personally significant anniversaries in Second Life - both occurring this week: on June 16, the Singapore-themed sim of Temasek celebrates its first anniversary, and on June 20 & 21, the cruise-ship SS Galaxy celebrates her second anniversary. i would just like to acknowledge the breadth of talent and the time and effort that ALL photographers and models who visited Temasek last week spent. in all, 51 photographs from Temasek were submitted. quite apart from the photographs which were shortlisted for the finalists, i would strongly encourage all of us, when we can spend some time, to browse the creative output of six people in particular, whose work i have not featured on these pages till now. Temasek - Orange Fashion Photo Contest Grand Prix!! 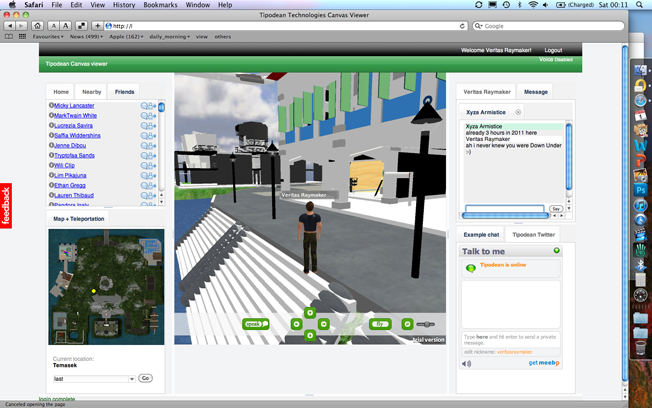 you can have a look at their entries here, and also in-world at the Oceanview Deck, where they will be on permanent display. i am absolutely thrilled, because Trinidad's entry - Singapore by Boat - was chosen as the overall Grand Prix winner for the entire contest! Singapore by Boat was chosen from 46 other finalist photographs taken from five estates across the Second Life grid, including from the London sims and the SS Galaxy. this is testament to Trinidad's talent, Halllie's beauty (she was the model), and the creative effort that went into the planning, landscaping, and building of Temasek by the architectural team. thanks be to God, and heartfelt thanks to all photographers and models who took the time to visit Temasek this past week. i just want to acknowledge and thank all visitors to Temasek, as well as those who have chosen to take up residence there. i would also like to thank God for blessing me with such a talented and selfless team of architects. 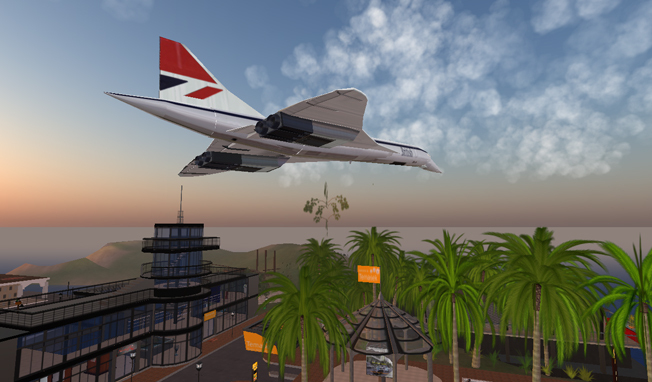 built to full-scale, Concorde at Temasek is a replica of G-BOAD.